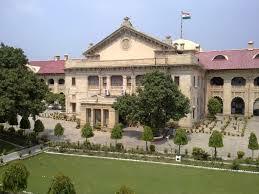 The petitioner's father Babu Ram was a Head Master in Primary School, Jamalpur, district Shahjahanpur. He died in harness on 11.6.1999. The brother of the petitioner moved an application for his appointment on compassionate ground but unfortunately he also died. The petitioner thereafter moved an application for her appointment on compassionate ground as the petitioner's mother is illiterate and there is no other source of livelihood to the family. It is stated that she had submitted all the requisite documents for her appointment. Upon her representation the Secretary, U.P. Basic Shiksha Parishad, Allahabad vide communication dated 29.6.2011 has sent the necessary papers to the Special Secretary, Education-5, Government of U.P. for his approval, as Five years period has elapsed. The grievance of the petitioner is that no decision has been taken as yet by the State Government on the communication of the Secretary, U.P.Basic Shiksha Parishad, Allahabad dated 29.6.2011. Learned counsel for the petitioner submits that the petitioner's family is living in penury as it does not have any other source of livelihood and in case there is delay in the appointment of the petitioner the entire family shall be put to extreme hardship. It is trie law that there should not be delay in the appointment on compassionate ground. In this case the petitioner's father died in harness. The brother of the petitioner, who also applied for his compassionate appointment, died before the appointment could be offered to him. In view of the said facts the petitioner claims that there was delay in moving the application. The State Government has a power under The Uttar Pradesh Recruitment of Dependents of Government Servants Dying-In-Harness Rules, 1974, to relax the period mentioned in the Rule 5 of the said Rules, in case it is satisfied that the delay which has occurred was for some genuine ground. The Secretary, Basic Shiksha Parisahd has sent papers to the Special Secretary, Education-5, Government of U.P. on 29.6.2011. A full Bench of this Court in the case of Shiv Kumar Dubey and others v. State of U.P. and others, 2014 (2) ADJ 312(FB), has also occasion to deal with the question if there is delay beyond Five years in moving the application on compassioante ground. Having regard to the facts and circumstances of the case, I am of the view, that the end of justice requires that the Second respondent may take appropriate decision in the matter expeditiously in accordance with law preferably within three months from the date of communication of this order. With the aforesaid observations and order, writ petition is finally disposed of.